Almost No Poor Nations By 2035? That's What Bill Gates Says : The Two-Way In his annual letter about the work of his foundation, the Microsoft co-founder says once-impoverished nations have already made tremendous progress, and more will follow their lead. Bill Gates at an event held by his foundation in Berlin last November. It is a myth that "poor countries are doomed to stay poor," and by the year 2035, "there will be almost no poor countries left in the world," Microsoft co-founder and philanthropist Bill Gates writes in his latest annual letter about the work of the Bill & Melinda Gates Foundation and conditions in the nations where the foundation works. Gates sees a world where once-impoverished countries have already made tremendous progress and where more will follow their lead. -- "The global picture of poverty has been completely redrawn in my lifetime. Per-person incomes in Turkey and Chile are where the United States level was in 1960. Malaysia is nearly there, as is Gabon. And that no-man's-land between rich and poor countries has been filled in by China, India, Brazil, and others." -- "Since 1960, China's real income per person has gone up eightfold. India's has quadrupled, Brazil's has almost quintupled, and the small country of Botswana, with shrewd management of its mineral resources, has seen a thirty-fold increase. There is a class of nations in the middle that barely existed 50 years ago, and it includes more than half of the world's population." -- "So the easiest way to respond to the myth that poor countries are doomed to stay poor is to point to one fact: They haven't stayed poor. Many — though by no means all — of the countries we used to call poor now have thriving economies. And the percentage of very poor people has dropped by more than half since 1990." -- "That still leaves more than 1 billion people in extreme poverty, so it's not time to celebrate. But it is fair to say that the world has changed so much that the terms 'developing countries' and 'developed countries' have outlived their usefulness." -- "Don't let anyone tell you that Africa is worse off today than it was 50 years ago. Income per person has in fact risen in sub-Saharan Africa over that time, and quite a bit in a few countries. After plummeting during the debt crisis of the 1980s, it has climbed by two thirds since 1998, to nearly $2,200 from just over $1,300. Today, more and more countries are turning toward strong sustained development, and more will follow. Seven of the 10 fastest-growing economies of the past half-decade are in Africa." -- "The bottom line: Poor countries are not doomed to stay poor. Some of the so-called developing nations have already developed. Many more are on their way. The nations that are still finding their way are not trying to do something unprecedented. They have good examples to learn from." 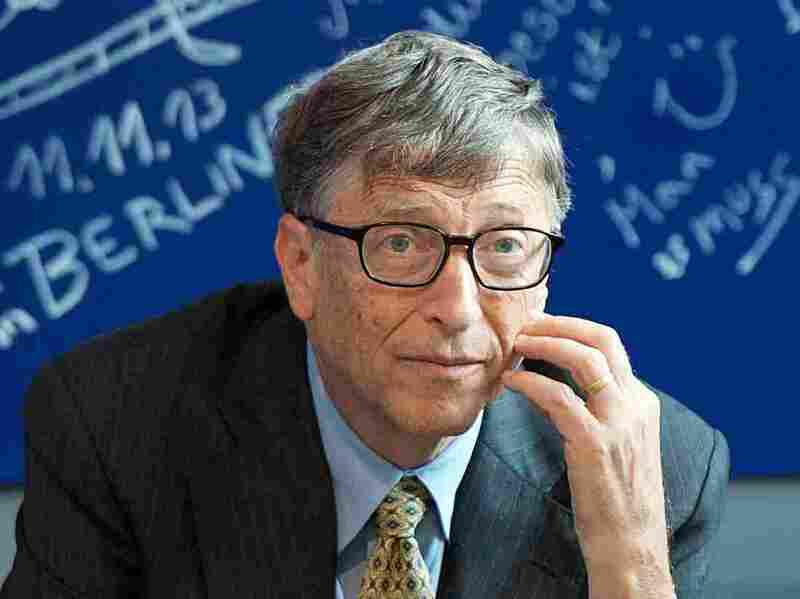 Is Bill Gates right when he says there will be 'almost no poor countries left in the world' by the year 2035? "Specifically, I mean that by 2035, almost no country will be as poor as any of the 35 countries that the World Bank classifies as low-income today, even after adjusting for inflation." -- That "foreign aid is a big waste." -- That "saving lives leads to overpopulation." Note: NPR is among the organizations supported by the Bill and Melinda Gates Foundation. That doesn't affect our thinking on when to post about what he's up to, of course.